60,000,000 B.C.E – Cascade Range begins forming. 50,000,000 – Present day Upper Klamath Basin is in the Pacific Ocean. 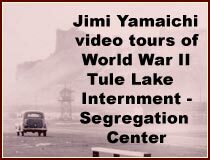 15,000,000 – Extension, the process of pulling the earth’s crust apart, created Tule Lake. area are as recent as 1,000 years ago. 750,000 – Violent eruptions begin to shape the Cascade Range. 500,000 – Medicine Lake Volcano is a shield volcano similar to the Hawaiian Volcanoes. Over the last half-million years it has been built up by successive outpourings of lava, creating a shield-like form. 400,000 – Mt. Mazama formed. 275,000 – Cinders begin erupting through the shallow waters of Tule Lake. 100.000 – Mt. McLoughlin begins to form. 48,000 – Cone building on Mt. Mazama. 40,000 – It is theoretically possible for people to have entered North America from Asia at repeated intervals by land between 40,000 and 13,000 years ago. The general consensus is whether on land, along Bering Sea coasts or across seasonal ice, humans crossed Beringia from Asia to enter North America about 13,000 or more years ago. 25,000 – Mt. Mcloughlin is mature. 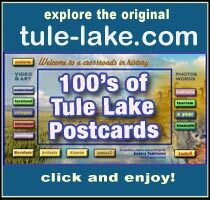 13,000 – Ancient Modoc Lake was almost 75 miles long and covered 1,000 square miles with at least 400 miles of shoreline, including Upper Klamath Lake, Lower Klamath Lake and Tule Lake, at an surface elevation of over 4,200 feet. The climate begins to warm. 12,000 – First human inhabitants in the Upper Klamath Basin. 8,000 – West Coast glaciers begin to recede. 6,000 – Mt. Mazama erupts and collapses. 800 B.C.E. – The youngest flow on the Medicine Lake volcano is Glass Mountain, formed during an eruption less than 1,000 years ago. Modoc Indians – The Klamath Indians usually outnumbered the Modoc Indians two to one. The Modocs called themselves Móntokni máklaks “living at Moatak” – this being the name of Modoc or Tule lake: “in the extreme south.” The Modoc population was somewhere between 400 and 800. The Modoc’s settlements included camps included the Lower Lost River, Lower Klamath Lake, Tule Lake, Clear Lake, and the territory that extended south as far as the mountains beyond Goose Lake. Yahooskin Indians – The Yahooskin, 145 individuals in 1888, were a body of the Snake Indians. They hunted and gathered on Goose Lake, Silver Lake, Warner Lake, Lake Harney and temporarily stayed in Surprise Valley, on Chewaukan and Saíkan marshes and gathered wókash on Klamath Marsh. 1540 – A Klamath wocus grinder is made and eventually found in Pecos, New Mexico, illustrating the expanses of prehistoric Indian trade routes. 1542 – Juan Rodrigues Cabrillo sails to latitude 44° and lands near present day Port Orford. 1549 – Sir Francis Drake claims present day Northern California and Southern Oregon, “New Albion”, for England. 1603 – Sebastian Viscaino makes first known investigation of Umpqua River. 1698 – Savery, in England, invents the first crude steam engine. 1700 – January 26, about 9 p.m., last great earthquake in the Cascades, perhaps a magnitude of 8.0 or greater, creates a 30 foot high tsunami that smashes into the Oregon coast. 1707 – A Spanish trade vessel, “San Francisco Xavier,” is wrecked on present day Oregon north coast. 1769 – Father Juanapero Serra arrived at the spot that would become San Diego and built the first mission in Alta California. 1772 – First recorded sighting of the Bay Delta by Spanish explorers. 1775 – Bruno de Heceta and Juan Francisco Bodega y Quandra reach 58° 30′. 1778 – Captain Robert Gray gives the name of “Murderer’s Harbor” to present day Tillamook Bay. 1782 – 25,000 to 75,000 nesting Bald Eagles in lower 48 states. 1786 – Mt. Shasta erupts. 1792 – Robert Gray, aboard the Columbia Rediviva claims the Columbia waterway for the United States on his second trip to the area. 1793-73: The Nootka Convention settles differences between England and Spain concerning the Pacific north coast. Mexico bows out. 1800 – Population of the United States is 5,308,483. 1800-38 Upper Klamath Basin precipitation was above average. 1803 – United States purchases the Louisiana territory from Napoleon. 1805 – Oregon explorations by Lewis & Clark. 1806 – Baron Nikolai Rezanov, an organizer for the Russian American Company, a fur trading enterprise, urges Russia to establish a colony at the mouth of the Columbia River. 1807 – David Thompson crosses the Rocky Mountains and establishes a trading post at the Columbia River headwaters. 1809 – Tree rings studies indicate Upper Klamath Basin was unusually wet. 1810 – Population of the United States is 7,239,881. 1811 – Astoria, Oregon is settled. 1811 – Explorer David Thompson was on the John day River. 1812 – War of 1812 breaks out. Fort Astoria is sold to the British Northwest Company and is renamed Fort George. 1812 – Oregon Trail route first traveled by Robert Stuart. 1812 – Spring, Russian fur traders build permanent headquarters at the mouth of the Russian River. 1813 – Tree rings studies indicate was unusually wet in Upper Klamath Basin. 1814 – Willamette Valley Indians describe Mt. Shasta to Hudson Bay trappers. 1817 – Erie canal construction started. 1819 – The Spanish government authorized the construction of a canal across Central America and the creation of a company to build it. 1820 – Population of the United States is 9,638,453. 1820 – June 7, George Nurse, founder of Linkville, born in Courtland, New York. 1824 – Russia agrees to stay in Alaska and relinquish interest further south. 1823 – Northwest Company merges with Hudson Bay Company. 1823 – the last mission built in Alta California was San Francisco de Solano at Sonoma. 1824 – Hudson Bay Company appoints Dr. John McLoughlin as the Chief Factor for Oregon County. 1824 – A pair of Mexican miners work Alamitos Creek near present day San Jose, California. 1825 – Finan McDonald, Tom McKay and others left Fort Vancouver for exploration of eastern Oregon. 1826 – January 5, Peter Skeene Ogden, working for the Hudson Bay Company, with a party of 35 trappers and more than I00 horses, reaches the headwaters of Klamath drainage. 1826 – Botanist David Douglas was in the Umpqua Valley. 1826 – October 5, Ogden reaches Chiloquin area. 1826 – Tree rings studies indicate Upper Klamath Basin was unusually wet. 1826 – December 6, Odgen names Mt. Sastise (Mt. Shasta). Another diary entry notes that they trapped 735 beaver and mammal skins in three weeks near the Klamath River. 1829 – Mt. Mcloughlin is first recorded under that name. Later is was known as Mt. Pitt and then again as Mt. McLoughlin. It was also referred to as Snowy Butte. 1832 – Tree rings studies indicate Upper Klamath Basin was unusually wet. 1833 – Ewing Young traps on the west side of Upper Klamath Lake. 1835 – A group of French-Canadians visit the Klamath tribal area and give the Indians trade goods. 1836 – Ewing Young brings 630 head of cattle to the Williamette Valley from present day San Jose, California. The trip takes nine months and started with 800 cattle purchased from the Mexicans. 1839 – John Sutter receives land grant in present day California from the Mexican Government that was “22 hours square” on horseback. 1839-54 tree ring studies indicate Upper Klamath Basin climate was dry with few wet years. 1841 – Wilkes expedition at Willamette Falls. 1843 – Klamath Indians are observed hunting elk along the western side of Upper Klamath Lake. 1843 – John C. Frémont and Kit Carson pass through the Upper Klamath Basin. 1843 – The “Great Migration” to Oregon for homesteaders begins. A wagon train with 875 settlers including the Applegate Brothers and Peter Burnett, who would become the first Oregon Governor, leaves Independence, Missour for Oregon. The Applegates both lose a son in rafting accidents on Columbia River rapids. 1843 – Joel P. Walker brings 1200 cattle, 200 horses and 600 sheep from California to Oregon. 1843 – Forty-two free agent mountain men, led by Old Bill Williams, spend the winter trapping around Upper Klamath Lake. They has contact but no problems with the Klamath Indians camped ten miles to the north. 1843 – Last mention of Finan McDonald in this area. 1844 Remains of Ancient Modoc Lake totals 360,000 acres. 1844 – Pierson Redding receives a 20,000 acre Mexican land north of Sutter’s grant. Present Day redding is located here. 1844 – William Shirley Williams, George Perkins, Bill Hamilton and 39 other men had a confrontation with 200 Modoc Indians near Lost River. 1845 – Minimum bridge width in Oregon is 12 feet. 1846 – May 1, Frémont camps on edge of Tule Lake which he named Rhett Lake. 1846 – May 6 or 9, Three of Frémont’s men are killed by Indians at Denny Creek. 1846 – Frémont retaliates by attacking a Klamath Tribe fishing village named Dokdokwas, that most likely had nothing to do with the attack, at the junction of the Williamson River and Klamath Lake, killing 14 Indians including warriors, women and children. 1846 – Free Emigrant road or South Emigrant Road, Applegate Trail, opens. 1846 – The southern Oregon Trail opened. 1846 – England and the United States agree that the fourty-ninth parallel will be the boundary between the two powers. 1846-47 – Winter, Donner party is trapped in the Sierras. 1848 – January 24, carpenters from Oregon, James Marshall and Charles Bennet, discover gold at Sutter’s Mill. 1848 – First Chinese immigrants arrive in present day California. 1848 – Treaty of Guadalupe Hildalgo signed, California ceded from Mexico, California Republic established. 1848 – Pierson Redding discovers gold in the present day Trinity County area near Douglas City. 1849 -1850: Gold discovered in the Lower Klamath Basin. Farms and ranches established in the Scott and Shasta valleys. 1850 – Oregon’s population is 13,294. United States population is 23,191,876. 1850 – Congress creates the post of Superintendent of Indian Affairs. 1850 – The Spanish Central America project, stalled, carries out surveys (also 1875) to find the best place for the canal. They suggested the most favorable routes were Panama (then a part of Colombia) and across Nicaragua. 1851-56: Southern Oregon Indians begin fighting with white settlers coming for gold.This starts the Rogue River Indian wars. 1851 – December, gold is discovered in Rich Gulch and the area quickly becomes Jacksonville. Abraham Thompson, a mule train packer, discovers gold near Yreka traveling along the Siskiyou Trail. 1851, April, 2,000 miners had arrived in “Thompson’s Dry Diggings” through the southern route of the old Emigrant Trail to test their luck, which took them straight through Modoc territory. 1852 – Jacksonville is founded. 1852 – A pack route is found from Crescent City to the Rogue Valley. 1852 – The number of Chinese immigrants on the west coast increases to 18,000. 1852 – Wallace Baldwin was pasturing livestock in the Keno area. 1852 – September, a wagon train of some 65 men, women, and children on their way to new homes in California are attached. Fifty-five whites die at the hands of Modoc Indians at Tule Lake at location that becomes known as “Bloody Point”. More bodies go uncounted and some survivors may have been kidnapped and sold as slaves. 1852 – Ben Wright leads a volunteer company in reprisal for the wagon train ambush. He entices a party of Modocs into council under a flag of truce. 41 Indians are murder by poisoned food. 1852 – Sherman Brown traveled by ship to Panama, crossed the isthmus by mule and on to San Francisco by ship. 1852 – Winter, Wallace baldwin grazes fifty horses on the west side of Upper Klamath Lake. 1853 – Sam Colver was appointed Indian agent for the rogue River Indians bu Superintendent Joel Palmer. 1853 – November 25, Frémont travel south from The Dalles along the Klamath Trail, a slave trading path connecting the Columbia River to the southern border of present day Oregon. 1853 – June 12, Crater Lake is discovered by prospectors, the John Hillman party, in search of the Lost cabin gold mine. 1853 – First Jacksonville school. Mart Hoffman was the teacher of 20 pupils. Tuition paid with poultry, produce and livestock. 1854 – September, first recorded non-native ascent of 14,162 Mt. Shasta. 1855 – Klamath River Reservation established on the Lower Klamath River. 1855 – Lt. R.S. Williamson passes through the Upper Klamath basin. 1855-69 – tree ring studies indicate Upper Klamath Basin precipitatior was above normal. 1855 – August 18, 2nd Lt. Henry Abbott of the US Topographic Engineers writes of Upper Klamath Lake’s dark colored water with a disagreeable taste. 1855 – A total of 7,437 settlers have filed on 2,8 million acres in Oregon. 1855 – August, Lt. Henry L. Abbot, a member of the Pacific Railroad Survey, spends 19 days with the Klamath Indians. 1856 – Judge Frederick Adams wintered 20900 head of cattle in Keno area. 1856 – First permanent Jacksonville school house. 1856 – Mrs. Sherman Brown and three children, George, Louisa and Daniel, travel by ship to Panama, crossed the isthmus on the new railroad and then sailed to san Francisco. 1857 – April 30, Martin Frain, fur trader, camps and establishes first trading post on Link River. 1857 – Big Jack Montgomery was robbed of $500,000 of gold at Jackson Creek on his run to Portland with his ten horse team. 1859 – The Siskiyou tollgate, “Dollarhide Station” opens. 1859 – A man name Ledford and four others are killed by Indians at Rancharee Prairie. Jacksonville residents as La-Lakes, the Klamath Village Chief, to punish the murders. La-Lakes brings to Jacksonville the heads of three offenders. 1859 – February 14, – Oregon becomes a state.